! Create memories that will last a lifetime with your perfect wedding in Jamaica! That’s right, every year couples flock to the Caribbean for their own Jamaican wedding. A wedding in Jamaica is the perfect alternative to the traditional stressful wedding. Think about it, standing on the pure white sand, the blue waters of the Caribbean rolling behind you, and you and your significant other exchanging vows under the warm, tropical sun. This is the perfect setting for you to have your very own Jamaica wedding.
. With our privacy and location, we are the only place for you and your loved ones to stay and relax while you enjoy your perfect Jamaican wedding! 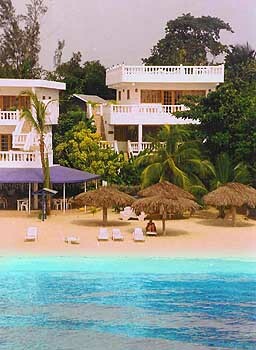 So come down and experience your wedding as it should be, the perfect Jamaica wedding at Beach House Villas!